A minute-long preview of the CW's fall lineup, featuring hits old and new. Watch an extended preview clip from the CW's The Vampire Diaries. The CW has released a promotional picture for The Vampire Diaries. There are a number of new shows we're excited about. But the three main one coming to The CW look the most promising. 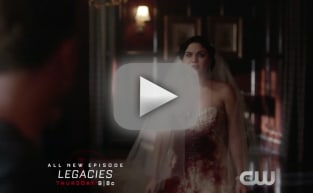 The CW has released three clips from its upcoming show The Vampire Diaries. The CW released two additional The Vampire Diaries promotional pictures for the CW Upfronts. Vampire Diaries casts its other lead vampire in the form of Paul Wesley. Ian Somerhalder joins the CW's pilot Vampire Diaries as a playful vampire. Steven R. McQueen has landed one of the lead roles in the CW's adaptation of Vampire Diaries.